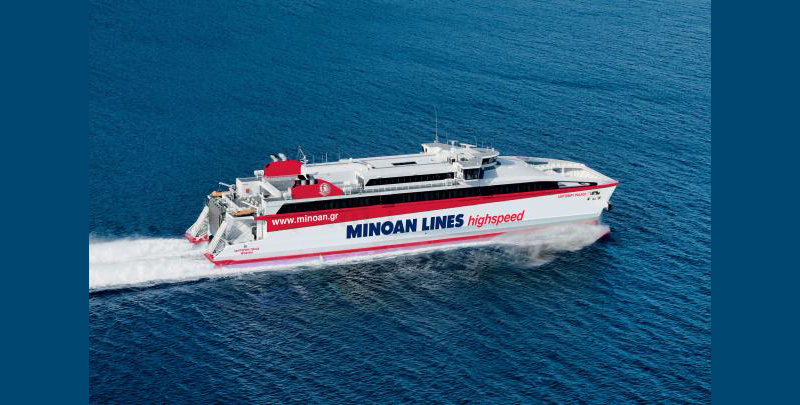 The high-speed ferry SANTORINI PALACE has begun her daily itineraries from the port of Heraklion to her new destinations, Santorini, Ios, Paros and Mykonos. (June 13). She’s the ex HIGHSPEED 7, operated by Hellenic Seaways, and part of the deal between Grimaldi and Attica.